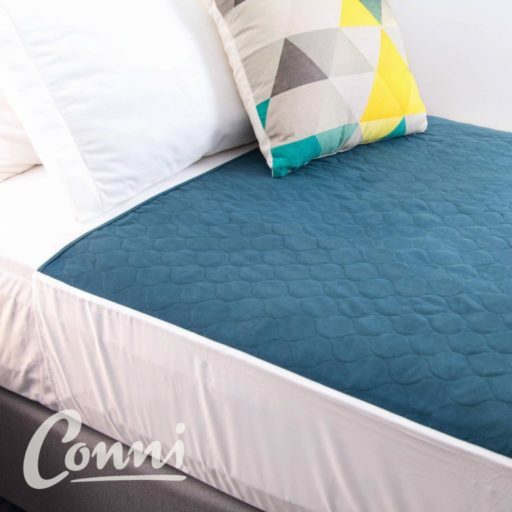 The bed pad is suitable for single or king single beds and measures 1m x 1m (39.4″ x 39.4″) plus tuck-ins. 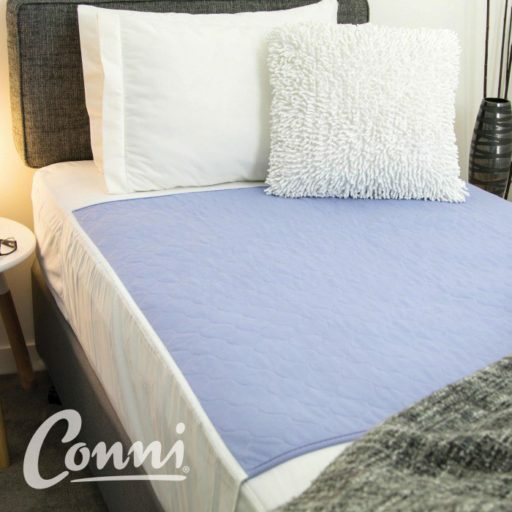 Conni Max bed pad is an absorbent bed pad designed to ‘trap’ or absorb fluid; ensuring a comfortable; dry night’s sleep. 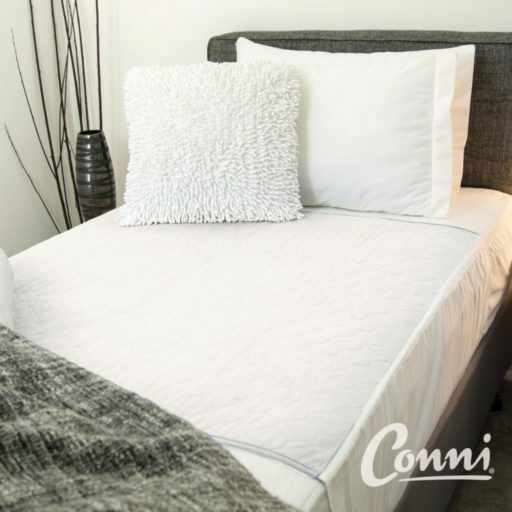 Simply warm machine wash (NOT HOT) with a good quality laundry detergent: never use fabric softeners as it puts a coating on the special fibres and interferes with the pad’s absorbency.